Why is the U.S. military killing Somali civilians? Amnesty International says US air strikes have been killing civilians in Somalia, in a possible violation of international humanitarian law. The rights group said it had recorded 14 civilian deaths in five recent air strikes on territory held by jihadist al-Shabab militants. The US has stepped up its air war in Somalia, carrying out 110 strikes in the past two years. It says the strikes killed more than 800 people, none of them civilians. 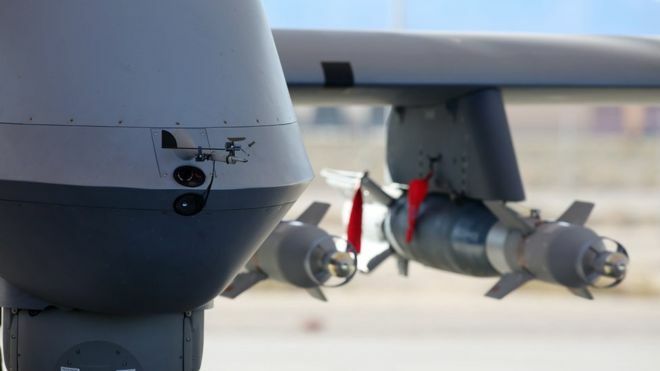 According to the US military, its drones and manned aircraft carried out 47 air strikes in Somalia in 2018. They have already conducted more than half that number of strikes in the first three months of 2019. The US military’s Africa Command, or Africom, says it seeks to avoid civilian deaths, and insists the only casualties from its strikes have been “terrorists”. However, this claim has been challenged in an Amnesty International report, entitled The Hidden US War in Somalia. The rights group said it had analysed five recent air strikes in the Lower Shabelle, a region outside Mogadishu that is largely under al-Shabab control. The report said 14 civilians had been killed and seven injured in the strikes. Its conclusion was based on 150 interviews with witnesses and relatives of the dead, as well as photographic evidence, satellite imagery and bomb fragments. The report highlighted a US military strike in the early hours of 12 November 2017, near the village of Darusalam. According to Amnesty, the strike killed three local farmers who were resting in the open after digging irrigation canals. The US military said at the time that the strike had killed al-Shabab militants. Brian Castner, Amnesty International’s senior crisis adviser on arms and military operations, said the civilian deaths indicated that US secrecy over its role in Somalia’s war had effectively provided “a smokescreen for impunity”. The al-Qaeda-linked al-Shabab militia controls large rural areas of central and southern Somalia, and frequently mounts gun-and-bomb attacks on the capital, Mogadishu.